For an invisible deodorant that doesn't leave marks on your clothes, try Dove Men+Care Invisible Dry Compressed antiperspirant for men. 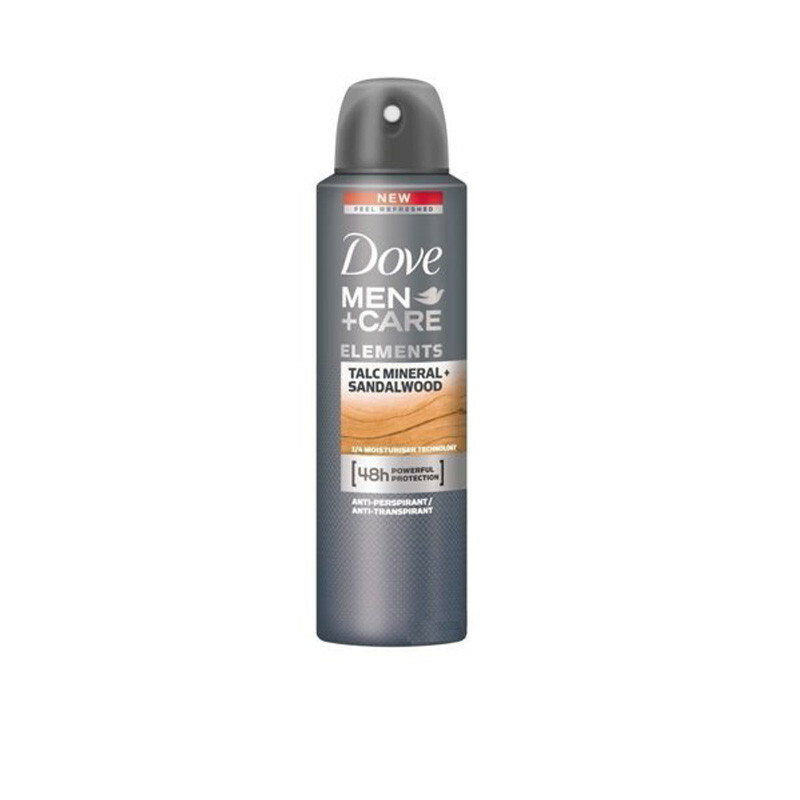 Dove Men plus Care Mineral Powder plus Sandalwood Dry Spray provides lasting protection inspired by the power of earth's elements. Combining the scents of sandalwood and mineral powder with a powerful antiperspirant - this Dove antiperspirant spray is clinically proven to control wetness for up to 48 hours.